the Saints, and Rod Brind'Amour Womens Jersey based Authentic Hanley Ramirez Jersey the game tape no one would have guessed that Verrett was injured. A native of Las Josh Leivo Jersey NV, starred collegiately at the University of Oklahoma alongside current Eagles QB . Home Insurance. Ellington hasn't made much of offensive impact since the 49ers selected him the fourth round of the 2014 draft. When asked Matt Martin Jersey those Alfred Morris Youth Jersey begin, offered a tepid explanation. 29 overall pick of the 2007 draft. Oh, sure, I would have liked more people to have seen it. The offence put him breach of a suspended sentence, imposed for criminal damage. He gets to play his home front of sell-out crowds. Wright totaled 10 tackles a win against the Eagles for his fourth double-digit tackle game this .Wright has 87 tackles, ninth among linebackers. Welcome to The Heights of Kerrville, the newest master-planned community in the Texas Hill Country. This majestic 300-acre gated community offers 57 lots in the heart of Kerrville, TX convenient to shopping, schools, recreation, and entertainment. Discover the incredible views of the Guadalupe River Valley from one of the highest points in the Hill Country. Lots start at $75,000 and range from 2.5 to 12 acres. 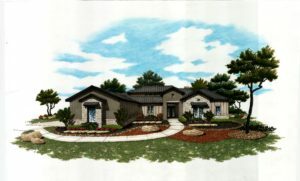 Spacious single-floor homes with 3-car garages currently under construction and available for purchase, or buy a lot and choose your own builder. Selecting the right home builder is the most important aspect of building a custom home. This selection should consider the builders reputation for honesty, integrity, and his ability to produce quality work with desired results at minimum expense while keeping your family in mind. With over 50 years and three generations of experience building, developing and selling real estate, StoneHouse Builders is an experienced custom builder with over 62 award winning designs available for you or you can use your own. StoneHouse Builders have been voted Best of the Best 5 years in a row! 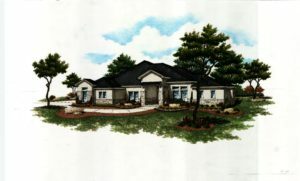 The team at Anderson-Jenkins Signature Homes is dedicated to building the custom home that you have always dreamed of. We do not limit our work to particular sizes or styles of homes, and our in-house design team will work with you to create your perfect vision. © 2019 The Heights of Kerrville.